Using hydrogen, the most abundant element in the universe, to store energy or fuel clean transportation! Hydrogen, or more specifically dihydrogen (H₂), is a highly abundant light gas on Earth. Oxidizing it produces electricity. It primarily serves as a way of storing energy, especially for renewables, when all of the capacity they produce cannot be consumed immediately. It can also be used to generate energy, for example via fuel cells that power hybrid vehicles or autonomous energy production systems. 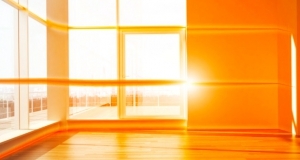 The heat generated during the hydrogen production process can also be used to heat buildings, for example. What does ENGIE do in hydrogen? ENGIE is taking a chance on hydrogen in three areas: mobility, independent energy production systems and power-to-gas. 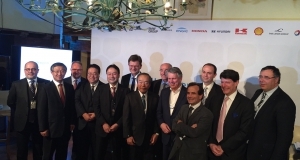 On January 2017, ENGIE, together with 12 energy and mobility companies, launched the "Hydrogen council" in order to foster the use of hydrogen as a mean to reach the energy transition. In September 2016, ENGIE took a 20% stake in Symbio, a provider of hydrogen mobility solutions for hybrid utility vehicles that makes it possible to increase their range and decrease their carbon footprint. ENGIE and Symbio are involved in the HYWAY project, which is being coordinated by the Tennerdis cluster. 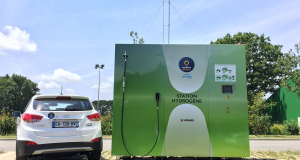 The project consists of standardizing and mass-producing hydrogen kits that can be integrated into vehicles, and also operating 50 hybrid utility vehicles in the Auvergne Rhône-Alpes region. ENGIE is also a partner in the GRHYD project, which involves injecting hydrogen into natural gas networks and injecting Hythane® (hydrogen and natural gas) into a GNV bus station in the Dunkerque Urban Community. Through its subsidiary ENGIE Cofely, the Group has developed Effi H2, a solution for industrial customers who want to produce hydrogen on-site hydrogen. The solutions can also be used in other environments, especially isolated areas (islands, remote areas without access to power grids). Power-to-gas means transforming electricity into gas. This technique allows us to use electricity that is not immediately consumed, which is particularly useful when dealing with renewable energies (wind, solar, biomass). Power-to-gas is the first phase of the GRHYD project, which will take place prior to using the gas itself. The Jupiter 1000 project developed by GRTgaz and the CNR is a platform for demonstrator projects that is managed by the Grand Port Maritime in Marseille. With 1MW of power available, the demonstrator should produce up to 200 m³ of hydrogen per hour by 2018.